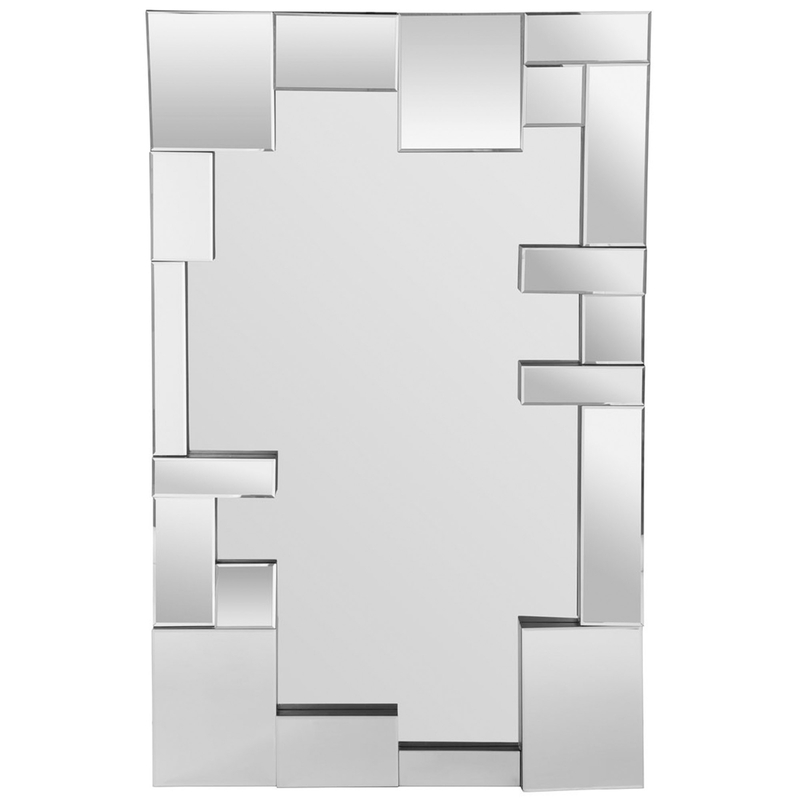 We are very proud to introduce this gorgeous Large Abstract Wall Mirror. This wall mirror contains a very unique design which is inspired by an art-deco style, given a contemporary touch. This wall mirror has a lovely mirrored glass material and silver colour to make it look extremely modern, as well as very eye-catching.